The Bahama Reef Fishing private charter takes you out on a 23-foot Sea Hunt Ultra for a top-notch fishing excursion on the shallower waters of the coral reef. Captain Carl Blades and his team are Nassau natives who have been fishing and boating in the waters of the Bahamas islands for decades. What you get when you book a Bahama Reef Fishing trip is full professionalism and decades of experience. 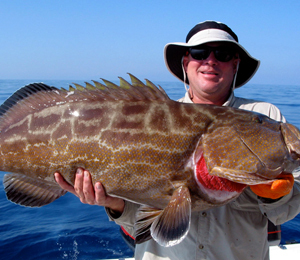 This Bahamas fishing charter comes equipped with all necessary fishing gear. Booking the Bahama Reef Fishing Trip is a great way to experience the shallow reef fishing opportunities available to you out of Nassau. 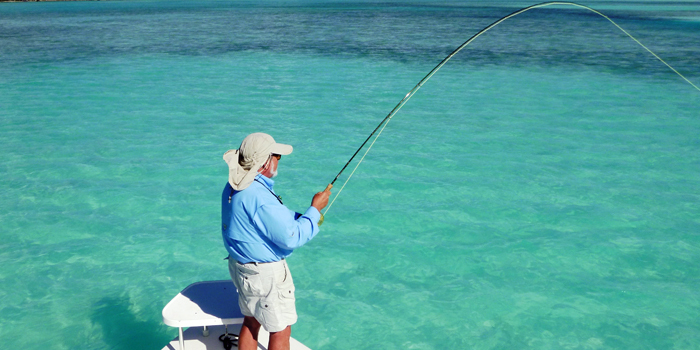 Captain Blades and his team use top quality rods and reels to take you on a truly unforgettable and successful Bahamas light tackle reef fishing excursion. The shallow reefs surrounding the islands of the Bahamas are a biodiverse underwater ecosystem that is home to countless marine species. This is where we head out on our 23-foot Sea Hunt boat to catch some fish! 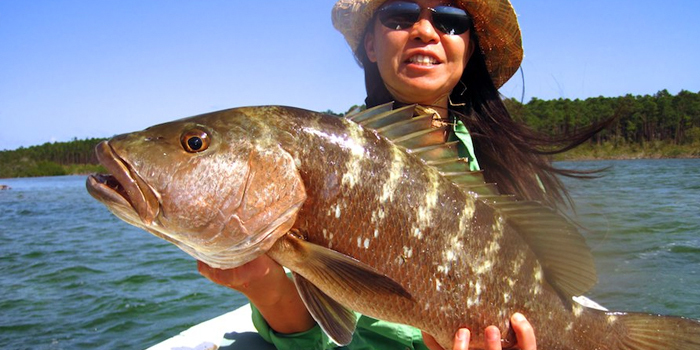 At the reefs, the fish you might catch vary widely but you can expect some of our more common catches such as grouper and jacks! The captain on your Bahama Reef Fishing Trip will be an experienced local fisher who will know just the right places to take you, as well as the perfect technique to make as many catches as possible. You will be fishing with someone who has been fishing in these waters for decades! 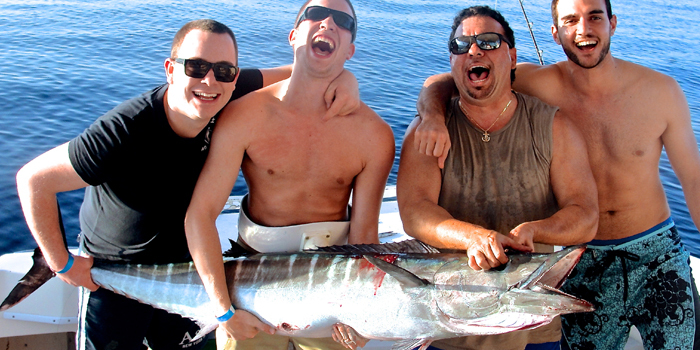 What is great about these Bahamas reef fishing excursions is that your private charters is completely customizable. So if you guys want to even do some snorkeling after your fishing, you are more than welcome to! 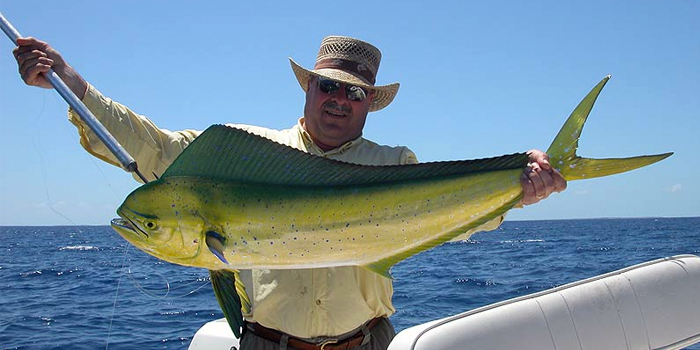 Captain Carl Blades is known in Nassau for providing not only some of the best reef fishing in Nassau, but also some of the best private charters in general. Do not miss your chance to explore some of Nassau's shallow coral reef waters to get some of the best fishing out there! Bahamas Fishing Charters is always interested in your tour experience with us. We hope you enjoyed your tour and love to hear comments. I have been to the Bahamas many times, but Bahama Reef Fishing Trip - 23' Sea Hunt is one of my favorite trips! It includes everything that everyone should do here. As a Bahamas veteran, I can say only the best about this experience!